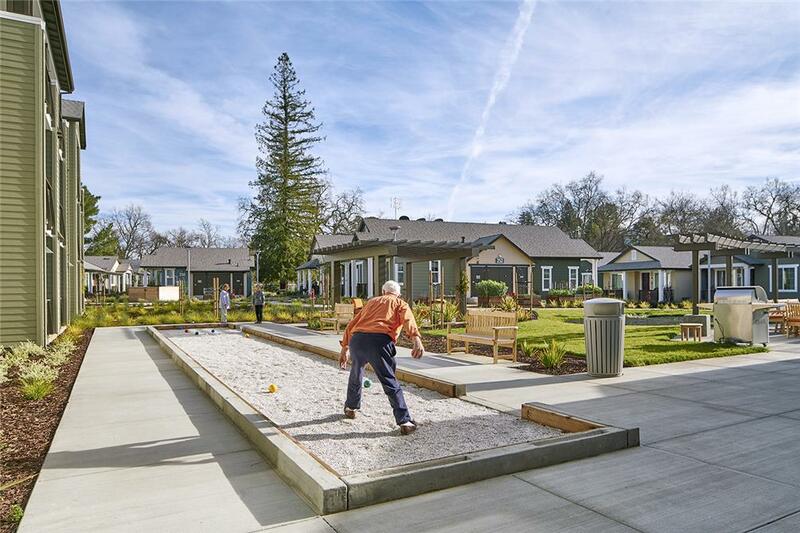 The growing demand for affordable senior housing that allows seniors to age in place prompted the City of Pleasanton and its local stakeholder group, the Kottinger Gardens Redevelopment Task Force, to redevelop Kottinger Place. The original apartments of Kottinger Place date back to 1970 and were not compliant with today’s accessibility standards. 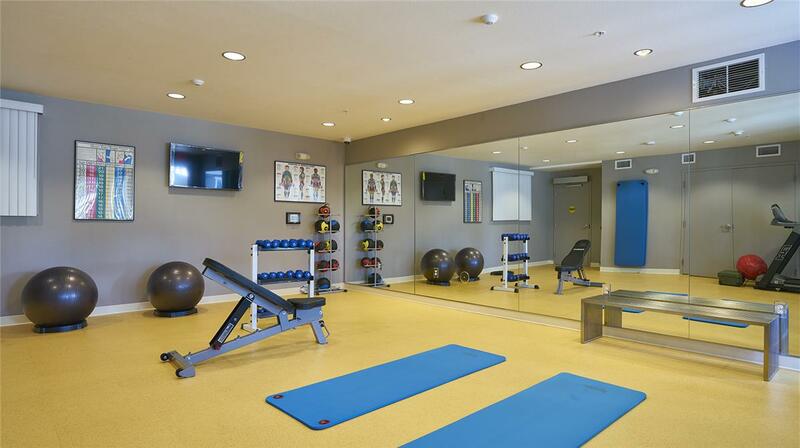 Structures were energy inefficient and great costs were incurred by ongoing maintenance. 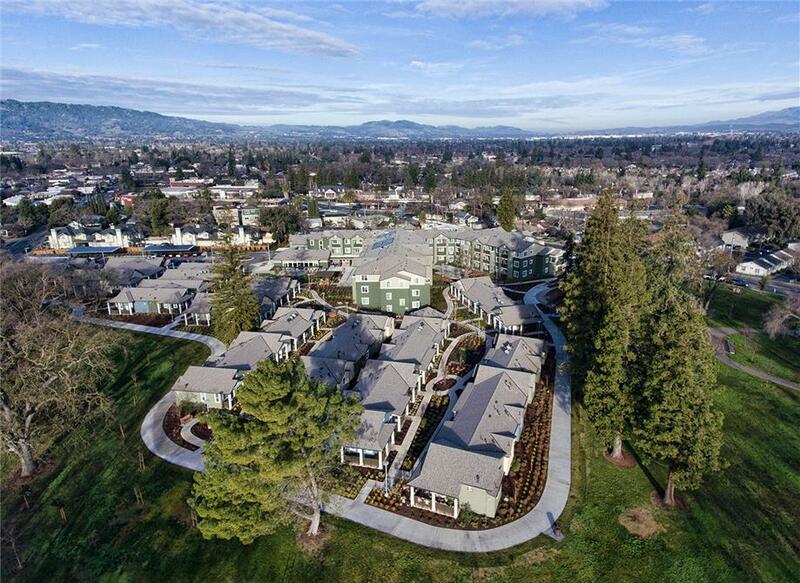 The property lacked space for quality services and amenities, and the demand for new affordable senior housing exceeded the property’s availability and capacity. Community outreach and participation played a key part of the planning and design process. 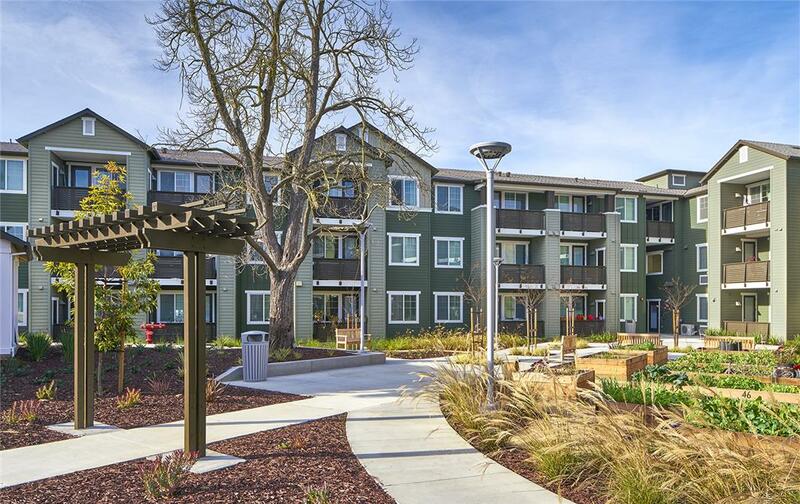 Existing resident surveys were conducted, and feedback from neighborhood outreach and stakeholder meetings with the overarching project goals set forth by the City, created a clear project vision. 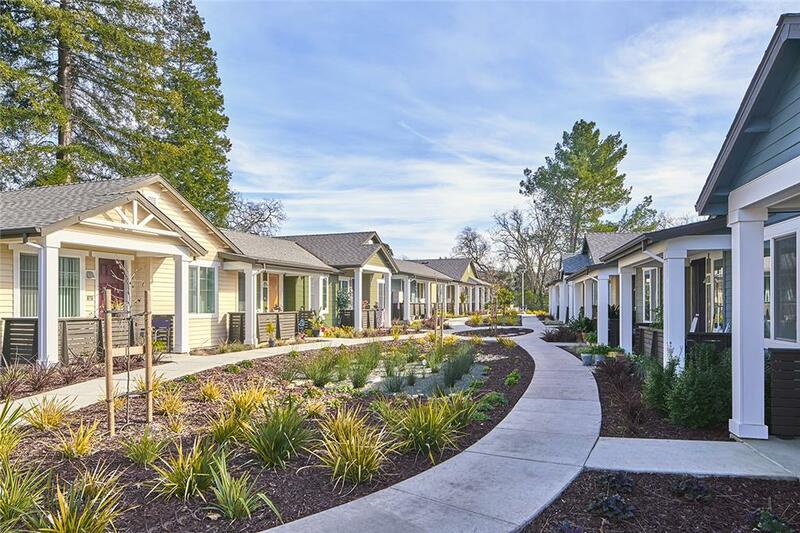 Careful design consideration was given in both scale and character to Pleasanton’s charming, historic, downtown context which has roots in cottage and farmhouse architectural styles. 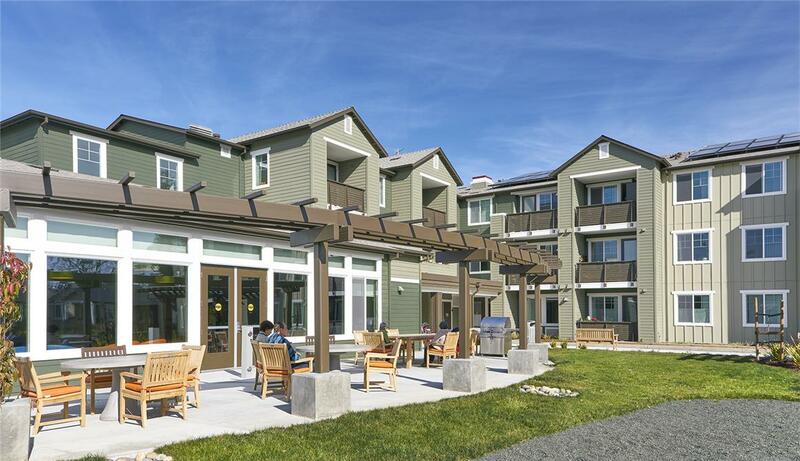 New housing units accommodate eat-in kitchens, accessible bathrooms and ample in-unit storage space. 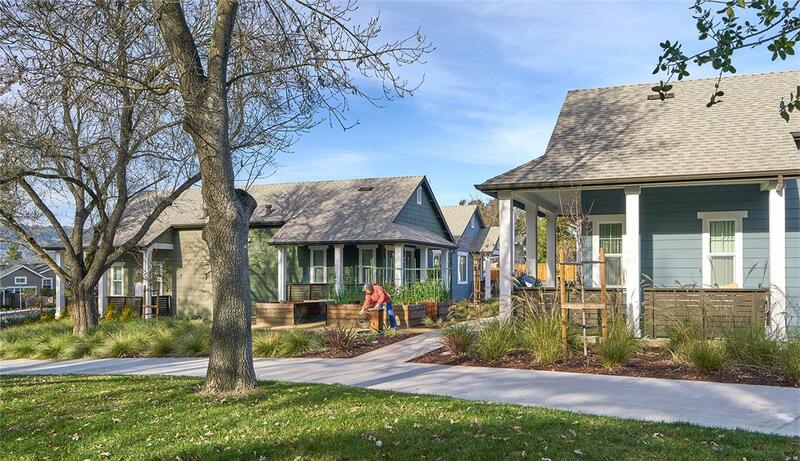 They also each have covered porches or balconies to provide private outdoor access to views of the community gardens, Kottinger Village Park and the hills beyond. 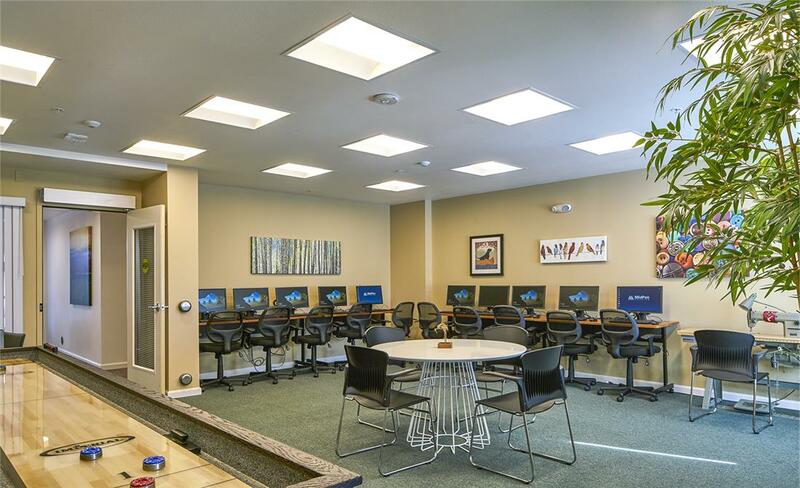 Shared onsite amenities include a community room and kitchen, a lounge equipped with computers and games, a fitness room able to host exercise classes, and laundry facilities. 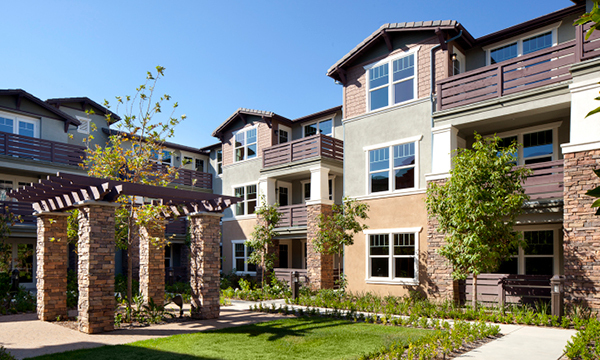 Community gardens with plots for resident use are also provided throughout the property, as well as outdoor amenities like a bocce ball court, outdoor trellised deck with barbecue, and walking paths that extensively traverse the site and connect the neighborhood. 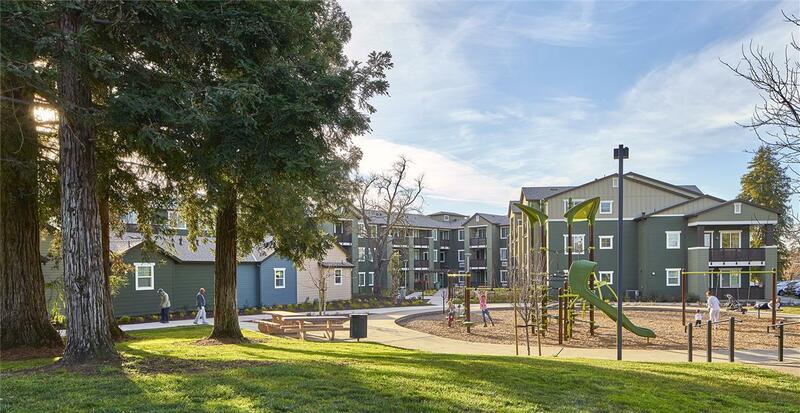 Kottinger Gardens is Phase I of the redevelopment effort across two properties, Kottinger Place and Pleasanton Gardens Housing project. 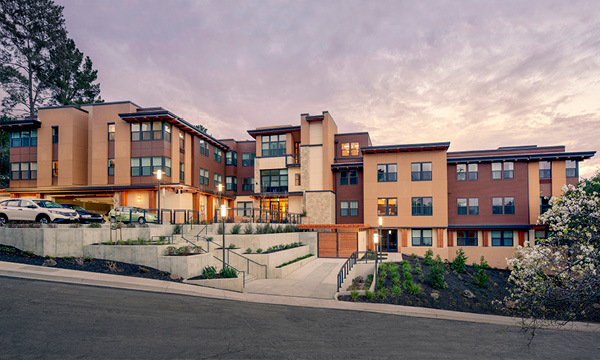 It has achieved LEED for Homes Platinum certification with its integration of advanced green building methods, recycled materials content, energy- and water-efficient appliances and fixtures, photovoltaic panels, and drought-tolerant landscaping and drip irrigation systems.